(2019). Ward, T., Durrant, R. & Sullivan, J. Understanding Crime: A Mutilevel Approach. Psychology, Crime & Law. (2019). Achieving Cumulative Progress in Understanding Crime: Some Insights from the Philosophy of Science. Psychology, Crime & Law. (2018) Optogenetics, Pluralism and Progress. Philosophy of Science 85: 1090-1101. (2018) Martin, C., J. Sullivan, J. Wright, S. Köhler. How landmark suitability shapes recognition memory signals for objects in the medial temporal lobes. Neuroimage. (2017) Cristina Dieni, Aldo Ferraresi, Silvarosa Grassi, Vito Enrico Pettorossi Jacqueline Sullivan and Roberto Panichi. Acute Inhibition of Estradiol Synthesis Impacts Vestibulo-Ocular Reflex Adaptation and Cerebellar Long-Term Potentiation in Male Rats. Brain Structure and Function: 223(2), 837-850. (2010) “Realization, Explanation and the Mind-Body Relation”, Editor’s Introduction. Synthese 177(2): 151-164. (2017) “Long-term potentiation: One Kind or Many?” in Eppur si muove: Doing History and Philosophy of Science with Peter Machamer. Marcus Adams, Zvi Biener, Uljana Feest and Jackie Sullivan, eds., Springer. (2016) “Neuroscientific Kinds Through the Lens of Scientific Practice” in Natural Kinds and Classification in Scientific Practice, Catherine Kendig (ed. ), New York: Routledge, pp. 47-56. (2015) “Experimentation in Cognitive Neuroscience and Cognitive Neurobiology” In The Handbook of Neuroethics (Springer), Jens Clausen and Neil Levy (Eds)., Dordrecht: Springer, pp. 31-47. (2014) “Is the Next Frontier in Neuroscience a Decade of the Mind?” In Brain Theory, Charles Wolfe, Ed. (Palgrave-MacMillan), pp. 45-67. (2014) “Classifying Psychopathology: Mental Kinds and Natural Kinds” (w/Harold Kincaid). 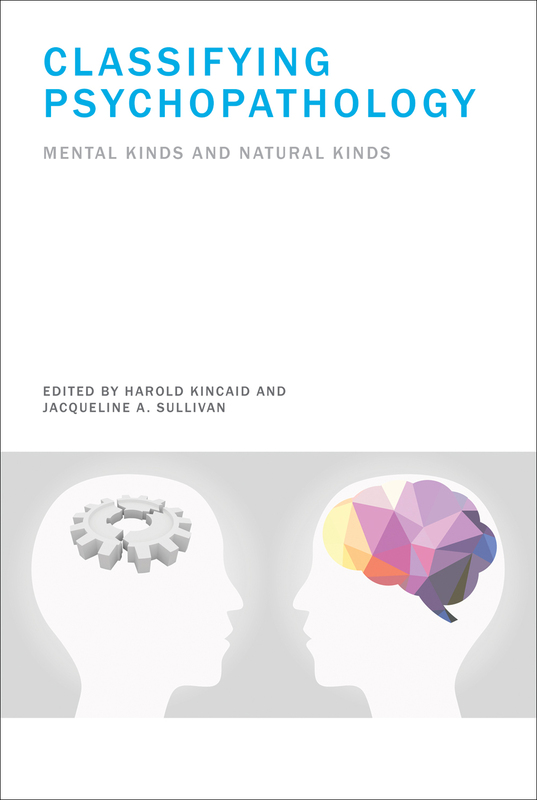 In Classifying Psychopathology: Mental Kinds and Natural Kinds, Harold Kincaid and Jacqueline A. Sullivan, Eds. (MIT Press), pp. 1-10. Eppur si muove: Doing History and Philosophy of Science with Peter Machamer. Marcus Adams, Zvi Biener, Uljana Feest and Jackie Sullivan, Eds. (2017, Springer). Andrew Mellon Pre-doctoral Fellowship, University of Pittsburgh, September 2006—May 2007. Provost’s Development Fund Fellowship, University of Pittsburgh, September 2004—May 2005. National Science Foundation’s Integrative Graduate Education and Research Training (IGERT) Program Fellowship, January 2002–January 2004. “Coordinating Scientific Perspectives in Experimental Contexts: Lessons from Translational Cognitive Neuroscience and the RDoC Project”, Culture, Brain and Mind Program, McGill University, Montreal, QC, (March 28, 2019). “Philosophy of Neuroscience as a Complement to Neuroscience”, Brain and Mind Institute, Western Interdisciplinary Research Building, London, ON. (March 1, 2019). Coordinated Pluralism as a Means to Facilitate Integrative Taxonomies of Cognition. Explaining Mental Illness: Will a Single Explanatory Model Do? London Library Lecture Series. Langdon Public Library (London, Ontario. October 12, 2016). The Replication Crisis in Science. Philosophy of Science Cafe. Robarts Research Institute, University of Western Ontario (London, Ontario September 30, 2016). Experimentation and Mechanistic Explanation in the Mind-Brain Sciences. Causality in the Sciences of the Mind-Brain Conference, Aarhus University (Aarhus, Denmark, June 27-29, 2016). The Research Domain Criteria (RDoC) Project: Can neuroscience revolutionize psychiatric classification? Neuroscience Graduate Diploma Program, York University (Toronto, ON, March 18, 2016). Philosophy Department, Clark University (Worcester, MA, September 24, 2015). Construct Stabilization and the Unity of Neuroscience. Philosophy and the Cognitive Sciences Pre-SSPP Workshop at Loyola University (New Orleans, LA, April 2015). Neuroscientific Kinds through the Lens of Scientific Practice. Southern Society for Psychology and Philosophy Annual Meeting, Invited Symposium on Natural Kinds (New Orleans, LA, April 2015). Construct Stabilization and the Unity of the Mind-Brain Sciences. Is the Next Decade in Neuroscience a Decade of the Mind? Philosophy: Crossing Disciplines Undergraduate Conference, University of Western Ontario, (London, Ontario, March 2, 2014). Construct Stabilization and Experimentation in Neuroscience. Institute for the History and Philosophy of Science and Technology, University of Toronto, Colloquium Series. (Toronto, Ontario, January 29, 2014). Integrating Psychology and Neuroscience: The View from the Philosophy of Experiment. University of Western Ontario’s Eleventh Annual Graduate Conference in Philosophy of Mind, Language and Cognitive Science. (London, ON, May 23-25, 2013). Reviving the Mind in Cognitive Neurobiology: Towards Perspectival Pluralism in the Experimental Context. Department of Philosophy and Center for Neurodynamics, University of Missouri-St Louis, (St. Louis, MO, March 2, 2012). Department of Philosophy, University of Western Ontario (London, ON, CANADA, January 31, 2012). Department of Philosophy, York University (Toronto, ON, CANADA, January 13, 2012). The Place of the Mind in Contemporary Neuroscience. Neurophilosophy Forum, Georgia State University, (Atlanta, GA, September 30, 2011). Linking Models of Cognitive Neurobiological Experiments to Explanatory Models of Cognition—A Fundamental Role for Mental States. Delaware Cognition and Neuroscience Workshop. University of Delaware, (Delaware, Maryland, September 16 &17, 2011). The Absence of Mind in the Neuroscientific Study of Cognition. 2011-2012 University Honors Program First Thursday Lecture Series, UAB, Birmingham, AL. (September 1, 2011). Learning and Its Representation. Workshop: Turtles All the Way Down: Philosophical Approaches to Minds, Brains and Multiplicity. (McMicken College of Arts and Sciences and Department of Philosophy, University of Cincinnati, Cincinnati, OH, October 2008). The Unity of Neuroscience from a Contemporary Philosophical Perspective. Haddin Humanities Lecture, (UAB, Birmingham, AL, September 2008). Mind as Matter: Challenges for the New Physicalism. Philosophy Speaker Series, (Clark University, Worcester, MA, September 2008). Testing the Limits of Neuroepistemology. 44th Annual Philosophy Colloquium (University of Cincinnati, Cincinnati, May 2008). The Multiplicity of Experimental Protocols: A Challenge to Reductionist and Non-Reductionist Models of the Unity of Neuroscience. Neuroscience and the Mind-Brain Relationship Workshop, (Centenary College, Shreveport, LA, October 2007). Extending Mechanistic Claims Beyond the Neurobiological Laboratory. Workshop on Neural Mechanisms, Explanation and Reduction in the Neurosciences. (Center for the Study of Mind in Nature, University of Oslo, Oslo, Norway, September 2007). Reliability and Validity of Experiment in the Neurobiology of Learning and Memory. (Philosophy Department, University of Alabama at Birmingham, January 2007). Reliability and Validity of Experiment in the Neurobiology of Learning and Memory. (Philosophy Department, San Francisco State University, January 2007). Canadian Association for Girls In Science (CAGIS) Outreach Activity. (w/Melissa Jacquart, Phoebe Friesen & Shari Monner). University of Western Ontario (London, ON Canada, March 21, 2013). Two Different Perspectives on Mind. Philosophy and Neuroscience Speakers Series. London Library (London, ON Canada, October 17, 2012). Your Mind and Other Minds: A Discussion. Donaldson Correctional Facility, (Bessemer, AL, May 8, 2012). Commentary on Thomas Polger and Lawrence Shapiro’s The Multiple Realization Book. Author Meets Critics Session, Pacific APA (Seattle, WA, April 2017). Optogenetics, Pluralism and Progress. Philosophy of Science Association Bi-Annual Meeting (Atlanta, GA, November 2016). Construct Stabilization and the Unity of Neuroscience. Philosophy of Science Association Bi-Annual Meeting (Chicago, IL, November 2014). Batra S, Sullivan JA, Geldmacher DS. Qualitative assessment of self-identity in advanced dementia. Poster presented at the 13th Alzheimer’s Association International Conference (Boston, MA. July 2013). Batra S, Sullivan JA, Geldmacher DS. Qualitative assessment of self-identity in advanced dementia. Poster presented at Dementia Care @AAIC: Translating Research to Practice (Boston, MA. July 2013). Experimental Paradigms, Cognitive Functions and Realization. Realization, Multiplicity and Experimentation in Biology, Psychology & Neuroscience Workshop, (University of Alabama at Birmingham, Birmingham, AL, February 2010). Medical Models of Psychopathology. Philosophy of Medicine Roundtable (Erasmus University, Rotterdam, Netherlands, October 2009). The Implications of Experimental Practice for Cognitive Models of Schizophrenia. Workshop on Natural Kinds and Classification in Psychopathology (University of Alabama at Birmingham, Birmingham, AL, April 2009). Learning and Its Representation. Philosophy of Science Association Biennial Meeting. (Pittsburgh, PA, November 2008). Memory Consolidation, Multiple Realizations and Modest Reductions. Philosophy of Science Association Bi-Annual Meeting, (Vancouver, BC, November 2006). Extracellular Signal-Regulated Kinase: A General Plasticity Kinase. National Science Foundation Integrative Graduate Education and Research Training Program (NSF-IGERT) Symposium, (Carnegie Mellon University, Pittsburgh, PA, June 2003). Levels of Analysis, Reduction and Neuroscience. (Center for the Neural Basis of Cognition (CNBC), Mellon Institute, Pittsburgh, PA, January 2002). Leveling Reduction with Peter Machamer. Pittsburgh-London Workshop in Philosophy of Biology and Neuroscience, (Birbeck College, London, England, September 2001). Invited commentary on Robert Foley’s “Flexible Intentional Action as a Criterion for Consciousness”, Canadian Philosophical Association Annual Meeting, Brock University (St. Catherine’s, ON, May 2014). Invited commentary, “An Ode to Peter Machamer”. Peterfest at The Center for Philosophy of Science, University of Pittsburgh (Pittsburgh, PA, October 2009). Construct Stabilization and the Unity of Neuroscience. Corinne’s Bloch’s (Marquette University) Topics in Cognitive Science course. March 8, 2018 (via Skype). Construct Stabilization and the Unity of Neuroscience. John Schwenkler’s (Florida State University) Proseminar. February 19, 2018 (via Skype).